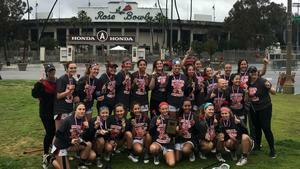 Palos Verdes Girls Lacrosse with new head Coach Justine Briene won the Rose Bowl Lacrosse Tournament on March 2nd winning all 3 games. 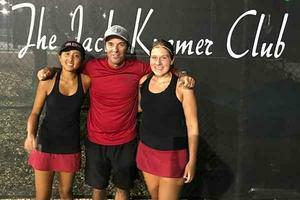 Madisen (Olsen) and Cara (Hung) won the Bay League Doubles yesterday at legendary Jack Kramer Club! 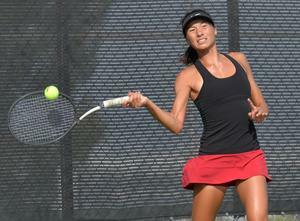 They beat Mira Costa’s Audrey Vo and Lindsay Giese 6-4, 6-4. They will now play in doubles CIF as well. PVHS Girls Tennis - Bay League Champions! Boys Tennis Tryouts on Fri 1/18 12:30-3:00pm. All students must have a valid physical on file in the health office in order to try out. 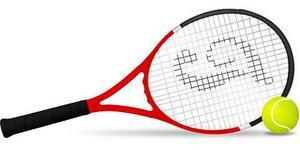 Rescheduled due to rain: Boys Tennis Tryouts for Sat 1/12 will be Sun 1/13 1-4 pm. Tryouts will be Sun 1/13 1-4 pm.